Konuya "lütfen yorum yazmayın" sadece istihbarat içersin! 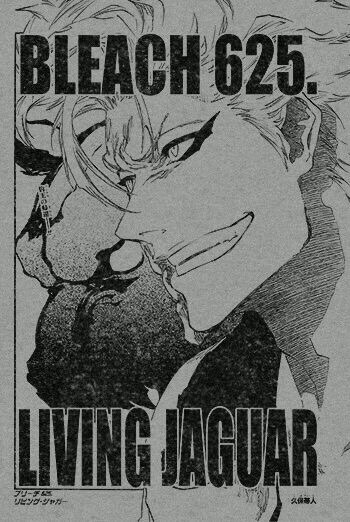 Bleach 621 yazılı ve resimli istihbaratları! Ukitake vomits blood. The soul king's right arm disappears. A lot of black creature with many eyes appear at the soul palace. Fellow captains begin their fight. The mighty aizen has of course knew that this is going to happen. 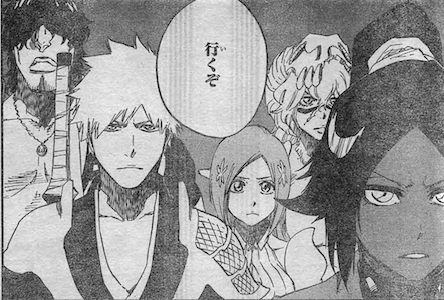 Fellow captains and lieutenants were shocked by the appearance of Aizen. Aizen greets fellow captains and lieutenants, even asked how's their study and work recently. He even gave them advice and encouragement. The meeting was held quietly and peacefully. Aizen is sitting on his throne while all this happens. Bölümün ismi "Izdırap" veya "Acı" imiş! Grimmjow and the original espada form of Nel come out of the garganta. 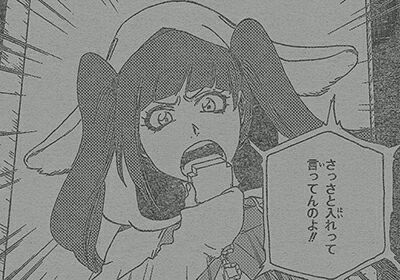 Riruka also appears(It isn't clear if its at the same time as Grimmjow/Nel or later in the chapter, but I'm going to say somewhere else in the chapter). Everyone is aiming for the royal palace. Galiba, Nel reatsuyu kullanarak bazı şeyler yaratabiliyor. Ek: Sanırım yarın sabah mangalar çıkacak. Haschwalth says "The Soul King is gone. Now begins the new world." Each team begins to move.Shunsui rushes along with Byakuya, Renji, Rukia and fellow captain, lieutenant and vizards. A small argument happens between Kenpachi and Nemu. Bazz b, Liltotototo and Giselle en route to a palace similar to the one in hueco muendo where Harribel was held captive. 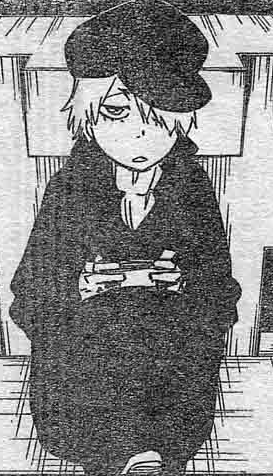 Holy crap I'm going to die of bloodloss from nosebleed from handsome young Bazz and Hashbrown before I'm done with this..
Naruto and OP are up on MP, so Bleach should be soon. Chapter is called "Friend 2."